I will start off by saying that Villa Park is in no way a dangerous suburb and really never has been that bad; however, in the 1980s and 1990s Villa Park was pretty crazy, especially in certain rental property areas of town. Chicago street gangs infiltrated this suburb in about the late 1980s, maybe? As we entered the 21st century Villa Park dramatically quieted down with violence and gang activity mainly because the community and the police were heavily persistent in the 1990s. Settlement of this area by the white man began in 1833 when the Black Hawk War Treaty was signed that pushed the natives off this land. A few families moved to the village from the east coast and from Germany to live as farmers. The area remained farmland with scattered residents for the rest of the 19th century. In the year 1900, two farmers sold several acres of their land to the Chicago, Aurora & Elgin Railway which brought mass transit to the area and eased the import and export of goods, which in turn, brought increased interest to the area. In the year 1908 real estate developers Ballard and Pottinger purchased several more acres of land to develop the Villa Park subdivision, and then shortly after the firm bought more land to develop the Ardmore subdivision. In the year 1914 the new community was named Ardmore, but in 1917 the name was changed to Villa Park. 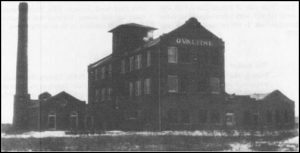 In the year 1917, the Wander Company found the village to be ideal due to the area’s rich farmland and mass train transit system; therefore, they built the Ovaltine factory near the intersection of Villa Avenue and Wildwood. The new Ovaltine factory brought many more residents to the community seeking employment opportunities. The building of the Ovaltine factory (pictured) stimulated other commercial and retail growth in the village causing this village to prosper well even through the Great Depression years in the 1930s. After World War II the village would boom even more as more subdivisions were laid out and the population grew to over 20,000 residents by 1960. In the year 1986, Chicago based street gangs had fully infiltrated the suburb of Addison which directly neighbors Villa Park on the north. Villa Park’s neighbor on the west, Lombard along with Addison was documented to have one of the highest amount of Chicago based gang members according to the 1986 Gang Crime Task Force report (Chicago Tribune Patricia M. Szymczak, October 22, 1989). In the neighboring suburb to the south, Oak Brook Terrace, police reported some minor evidence of gang activity in 1986 (Chicago Tribune Eric Zorn, May 9th, 1986). It was indeed shocking to think that any gang activity can happen in affluent suburbs such as Oak Brook Terrace but the police reported suspected activity which shows that gangs can infiltrate any suburb and at that point in time there were reports in other higher income suburbs like Naperville and Hinsdale. Gang activity never materialized into much in Oak Brook, Oak Brook Terrace or Lombard over the years but the influence of the very small spurts was enough to influence Villa Park youths into gang life, but the biggest influence was neighboring Addison that developed large amounts of Latin Kings and Latin Counts in 1986, those two gangs would very soon infiltrate Villa Park. I am not sure the exact year Chicago based street gangs entered Villa Park and also started chapters but it was well established by 1989, as there were already Conservative Vice Lords, Gangster Disciples, Latin Kings, Latin Counts, Insane Deuces and Two Sixs. The Villa Park suburb had some areas that offered some cheaper apartments and town homes, especially the Brandywine subdivision (pictured above) on the far south side of town by Roosevelt Avenue or the town houses on the northwest side by North Avenue and Kramer Avenue. Slumlord type landlords bought many of these cheaper properties and saved money by not keeping them up to code while they moved in lower income residents from Chicago looking to escape the violent streets of Chicago, this is how the Chicago based street gang element infiltrated the suburb and soon took a firm grip on the community. The Latin Kings became especially aggressive about getting Villa Park youths to join the gang and representatives of the organization came out to Villa Park from Chicago looking to befriend youths and pressure them to join and this led to an incident that made the newspaper in 1989 where Latin King gang members from the north side of Chicago and severely coerced Villa Park youths to join the gang that turned violent. 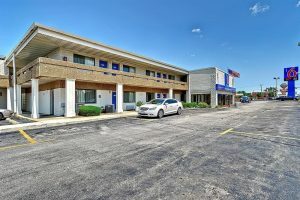 In January of 1989 at the Best Inns Motel (pictured above) located at 10 W. Roosevelt Rd which is directly across the street from the Brandywine subdivision, apparently four Latin Kings rented a room at the hotel and had a little party and they invited youths they knew from Villa Park that were possibly Latin Kings from the village, three of the youths invited were not gang members but the four city youths told them they should join the gang when the youths said they were not interested the four youths from the city got angry and pulled out a weapon then proceeded to rob them of their valuables and money, police ended up arresting and charging the gang members involved (Chicago Tribune January 30, 1989). Another gang related incident made the news later in the year 1989 that involved Villa Park gang activity. Rumors began spreading that two gangs were going to fight it out in the streets after school and soon word reached law enforcement that this was going to happen. The fight was going to involve over 20 gang members that were going to engage in a huge brawl on the grounds of Jackson Junior High School which was located only blocks away from the Brandywine subdivision. The Du Page County Sheriffs’ office was contacted and sent out one of their helicopters to track the fight from the air, the police chopper then saw both groups meet up then the brawl began as fists were being thrown and gang members were all wearing gang colors. Police on the ground rushed to break up the fight and arrested 18 gang members, and confiscated weapons that included knives. School district Superintendent Robert Lopatka stated to the newspaper that no gang problem exists in the community and he said “I don’t think it’s any different from any suburban high school in the area,” not only that the Villa Park police stated there was no significant gang activity in Villa Park (Chicago Tribune Neil H. Mehler, October 17, 1989). In the article it clearly shows the denial of school officials and the police department about the growing gang influence in the suburb by brushing it off saying there is no real problem, not in my suburb, not in my precious community, oh no way, this is the same denial mentality that allowed Chicago based street gangs to heavily infiltrate many Chicago area suburbs like Villa Park. Stating there is no real problem while the article you are being interviewed for is about the arrest of 18 youths involved in gangs and carrying knives for engaging in a massive brawl in broad daylight that needed to be broken up with a police helicopter, HA! The denial then becomes comical. 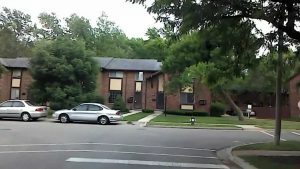 The denial of the late 1980s was one contributing factor to the spread of Chicago based street gangs in Villa Park but by 1990 the issue had become so wild and out of hand there was no denying it anymore especially since the suburb now was garnering a bad reputation. The issue changed from there is no problem in 1989 to “It is here, the real problem is here” which was stated by police Chief Roger Weiser of Villa Park in his 1990 interview with the Chicago Tribune. The suburb was now experiencing drugs, prostitution and even murder; this prompted the village police to work with other suburban agencies to compare notes about gangs and gang members, now the village was finally taking the issue more seriously (Chicago Tribune Art Barnum June 17, 1990). Gang activity was indeed on the rise and intensifying in the Villa Park community, a good example was a pair of incidents that happened in the summer of 1990 when a group of four juvenile gang members led by 17 year old Robert Swapsy went on a violent rampage in Villa Park and Oak Brook Terrace robbing people. 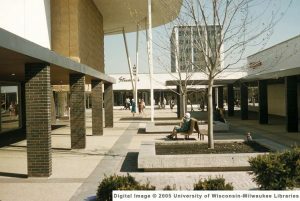 According to the Chicago Tribune Swapsy and his group went to the Oak Brook Shopping Center (pictured) and they ran into a 22 year old man from Villa Park and they pulled the man’s jacket over his head and beat him with small baseball bats and a metal cane when the man tried to fight back one of them pulled a .45 or 9 mm pistol on him and threatened to kill him. Around that same time Swapsy and his group attacked a 13 year old boy at Roosevelt and Ardmore Roads and put him in a headlock while another used a cigarette lighter to light the boy’s hair on fire, they then stole a $65 watch from the youth according to the Tribune. Swapsy and the others were apprehended and charged with mob action and theft (Chicago Tribune July 20, 1990). This incident once again happened near the Brandywine subdivision on the south side of town. In the early 1990s and into the mid-1990s gang activity continued to escalate in the suburb and became increasingly violent especially on the communities’ south side in the Brandywine subdivision and the Parliament Apartments located within Brandywine. There was also heavy gang activity in the town homes on the Northwest side on North Avenue and Kramer Avenue. 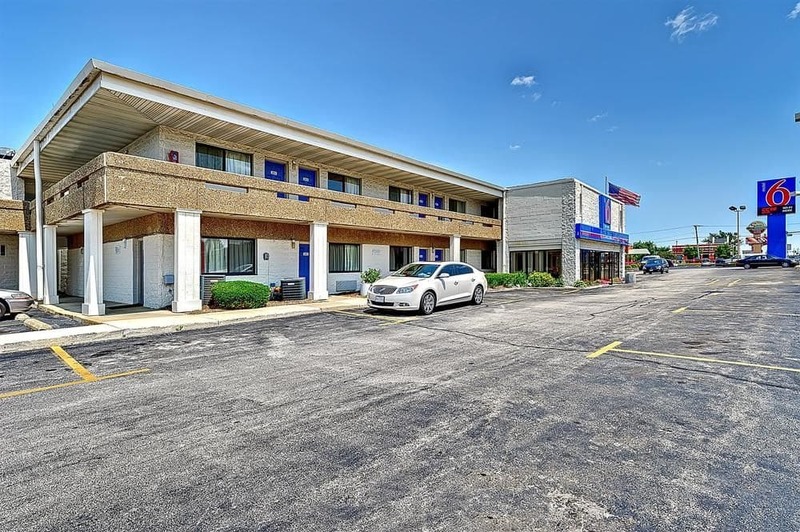 The suburb had a strong presence of Latin Kings and Insane Deuces; there were also several members of the Gangster Disciples, Conservative Vice Lords, La Raza, Latin Counts, C-Notes, Two Six, Los Bebe Stones (all in the town homes on North and Kramer) and the TAP Boys. In March of 1995, Villa Park police began utilizing Illinois State Police helicopters to fly above the Brandywine area; the gang activity had become so severe in this part of the village that this was seen as necessary. Gang members became wise about police patrols and sent warnings when the patrol cars came near, in order to get a step ahead the police used the helicopters to get an aerial view of all the gang activity and drug trafficking. When the program first launched many dealers and gang members were startled by the chopper and began to run, they were then apprehended by police on the ground, the first day of the chopper caused four arrests according to the article (Chicago Tribune March 16, 1995). It is not common for any suburb to use a helicopter for law enforcement purposes but crime and gang activity became so severe in the suburb that it became necessary. Law enforcement heavily cracked down on gang activity in the suburb in the later 1990s but there were still several incidents of violence, not only that Villa Park gangs still had a major issue with youths from the area either refusing to join a gang or wanting to leave a gang. According to a 1998 Chicago Tribune article, 16 year old gang leader Jose Delatore was charged with beating up a Villa Park youth for wanting to leave the gang, but the youth did not want to endure the “V-out” ritual of leaving the gang so Delatorre and others jumped the youth on the streets to show that there was no easy way out of the gang. Delatorre was also known for leaving threatening phone calls to rival gangs and enticing them to come to the area and challenge his gang back in 1997. Delatorre was charged in 1998 for the May 26, 1997 incident and sentenced to 15 months in jail (Chicago Tribune Art Barnum January 1, 1998). This story shows how serious the gangs were in Villa Park in the 1990s and how the issue of gang activity escalated fast. The village of Villa Park greatly cracked down on gangs, crime and shabby apartments, town homes and houses. The village got tough on building and maintenance codes on property in the Brandywine subdivision which caused property values to rise and lower income residents to move out which ended up naturally decreasing gang activity. The town homes on North Avenue became privately owned instead of being run by a property company which caused the lower income renters to move out. Villa Park eventually shaped into one of the safer communities in the area with an even lower crime rate than the more affluent Oak Brook Terrace. In recent years the Brandywine subdivision area is actually an area where crime is lower in the village.